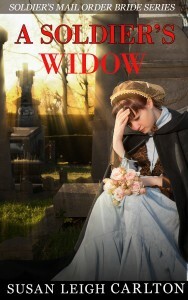 My latest offering is, “A Soldier’s Widow” priced at $2.99 on Amazon. “A Soldier’s Widow” is a serial of over 28,500 words. The story will be concluded in part two to be released by September 2015. This is the story of Miriam Ponder of Yorkville, South Carolina. Miriam became a widow on November 24, 1863, when her husband, Hiram was killed during the Battle of Missionary Ridge. His name never appeared on the casualty lists and she was unaware of his death until a few months after the end of the war. It is also the story of Tom Cannon, who was shot during the same battle. Tom was a member of the Union forces attacking the Confederate Army on Missionary Ridge. He was wounded, but survived. The story tells of the loneliness of each of them, and the steps they take to end their loneliness. Please note, some of the grammar is the common vernacular of the day and people talked this way.